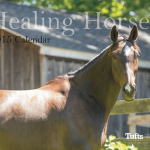 Gastric ulcers affect a great number of horses—oftentimes without anyone ever knowing it. But by arming yourself with the following knowledge, you will be better equipped to pick up the signs, treat the issue, and, hopefully, be able to prevent ulcers from forming in your horse in the first place. 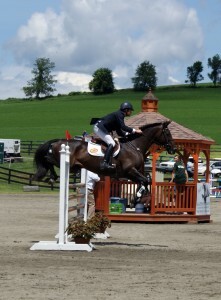 The majority of performance horses are said to suffer from ulcers. Who: Some studies have found that up to 70% of race horses, 93% of endurance horses, and 60% of show horses suffer from gastric ulcers. However, that does not mean backyard buddies and all other horses are in the clear—similar studies have also found that up to 69% of horses used for a variety of purposes are affected by ulcers. What: In any species, ulceration refers to the erosion or sloughing of one or multiple areas of the surface layer of the stomach. If gastric ulceration becomes severe, the erosions may begin to bleed (though this is very rare). 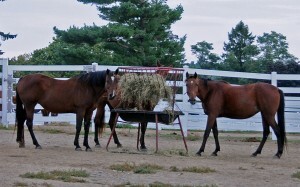 Horses can eventually become anemic and low in protein due to losses through the gastric ulcers. Why: With sport horses, intensive training tends to go hand-in-hand with infrequent turnout and low-roughage, high-concentrate feeding. If we add to this chronic use of NSAIDs (non-steroidal anti-inflammatory drugs), we have a recipe for ulcer disaster! 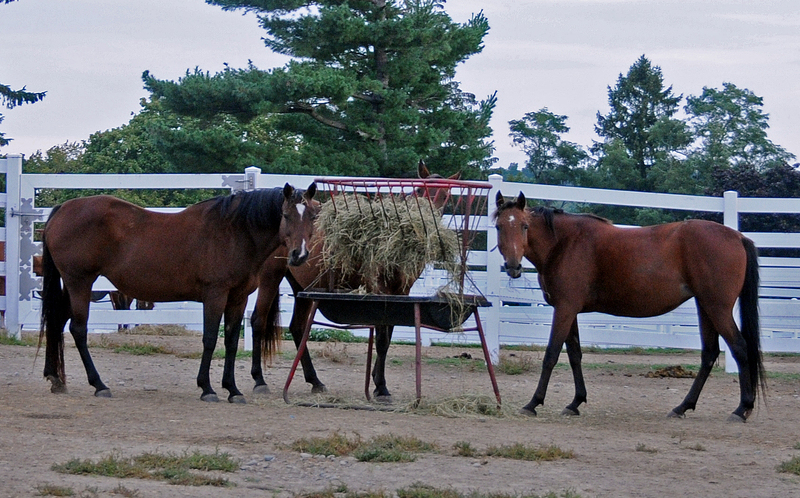 Let’s break it down: Unlike humans, horses secrete gastric acid continuously, whether they are eating or not. In the wild, horses spend the majority of their days continually eating small amounts of relatively poor quality, high roughage food. Continual acid secretion accommodates this natural lifestyle perfectly. When horses are fed large quantities of high quality food infrequently, their stomachs rapidly empty, essentially leaving the stomach with nothing to do. Use of NSAIDs, especially long-term, can further cause problems, as the medication reduces the healing process of the stomach lining which is necessary to regenerate/repair the lining continuously. 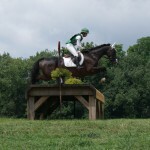 Infrequent feeding and chronic use of NSAIDS can affect any horse, whether they are performance horses or not. However, it is thought that sport horses experience ulcers more frequently—not only because of higher stress levels—but also when there is not a layer of food to keep the gastric acid in place, it is able to splash up during high levels of exercise and potentially affect different parts of the stomach as well. Symptoms: Ulcers are tricky, as they can present with anywhere from very severe symptoms to none at all, and some symptoms can be mistaken as behavioral issues as well. When showing them, symptoms may include recurrent or acute colic, decreased appetite, sensitivity to tightening the girth, poor body condition, poor coat, poor performance, and a crabby attitude. 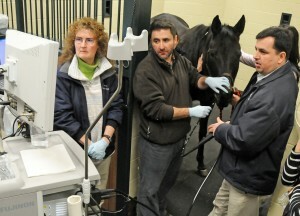 The only way to truly diagnose gastric ulcers in a horse is by gastroscopy. 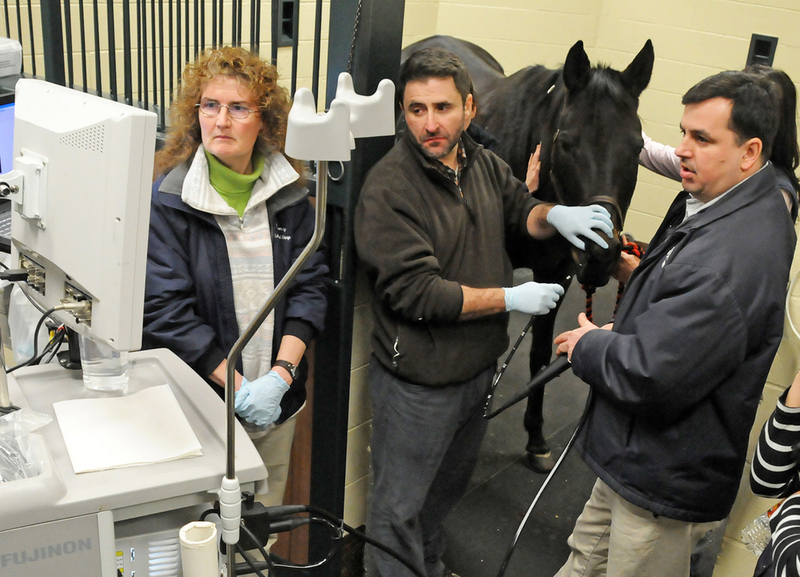 Diagnosis: Because of the wide range of symptoms, the only definitive way to get a diagnosis is gastroscopy, says Dr. Kirstin Bubeck of the Hospital for Large Animals’ Sports Medicine Service. 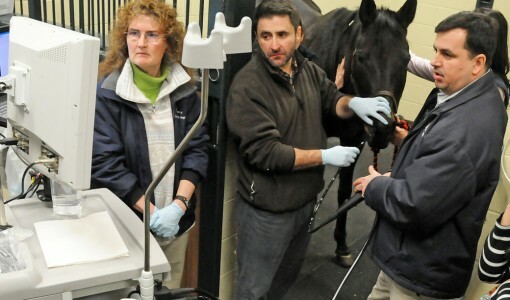 “For a gastroscopy, the horse should be fasted for 12 hours so its stomach is empty, so we can see the stomach wall via endoscopy,” she explains. With the gastroscope, veterinarians look for areas of the stomach lining that have an abnormal appearance—this may range from outright areas of bleeding to areas of eroded or thinned tissue. Dr. Bubeck also notes that, after consulting with your veterinarian, they may recommend to treat for ulcers and see if the symptoms go away. Omeprazole is a proton-pump inhibitor that works by preventing the stomach wall from producing gastric acid, while sucralfate is an aluminum compound, which binds to the ulcer and covers it up, stimulating the healing of gastric tissue. It is important to remember that although the horse’s signs may subside within the first week of treatment, the ulcers do not heal without at least three weeks of drug therapy and changes in environment and feeding. It is very important to follow your veterinarian’s recommendations for the frequency and length of treatment, as well. Offering constant access to forage can help prevent the formation of ulcers. Remember that, beyond competing, changes in environment—like traveling (whether near or far), switching barns, and more—can cause duress on your horse. When such stressful situations cannot be avoided, a proper dose(s) of omeprazole (Ulcergard) can help prevent ulcers. And, as always, remember you can consult with your veterinarian for further recommendations.